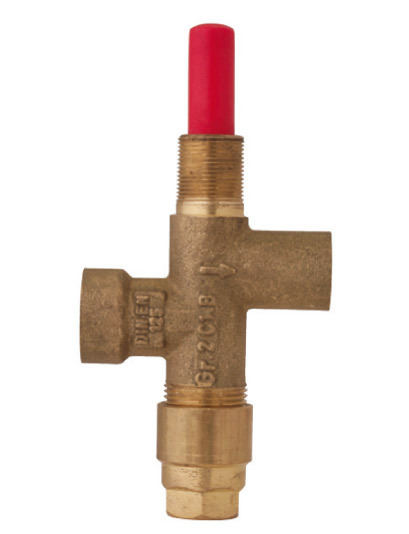 Talking about gas valves allows us to understand a wide range of products in the GNALI BOCIA catalog, all made of brass, starting from hot forged raw material that make it compact and homogeneous. The workings to realize them are mechanical and take place in the factories of Lumezzane on transfer machines of the latest generation. There are gas valves that allow to be connected to cylinder tanks, to open and close the passage without making large adjustments, that are usually referred to a component called pressure regulator and causes the fuel to reach the user device with the correct pressure. But with the term gas valves we also indicate all those devices that maintain a high level of safety by checking that there are no uncontrolled gas leaks. These are valves that, through the connection with a thermocouple, detect the presence of the flame and in case of shutdown they block the flow of the fuel up to the manual reset. There are also gas valves that have a built-in burner nozzle to be applied on small portable cylinders useful for work in the construction site or in environments difficult to reach. 29/07/2016 Safety valves for the thermocouples in our catalogue. Safety valves made to satisfy the UNI EN 125 standard, a European harmonised standard that makes it possible to receive CE marking. 29/12/2015 Greater safety with the shut-off valves of the fuel Shut-off valve are positive safety devices that protect the system under pressure. 29/01/2018 Ball gas valves for the interception Gas valves made of nickel-plated brass for durability and reliability over time.